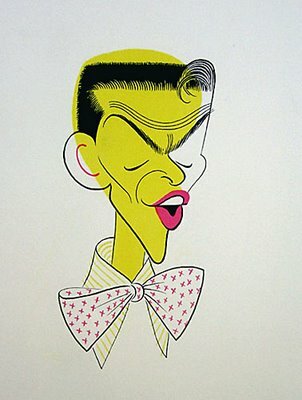 Been thinking and looking at caricature work recently. You all know of my love of Pablo Lopato's work and that of Steve Brodner. 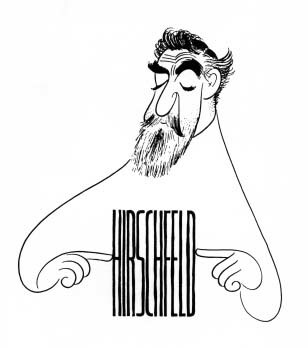 However, the Aubrey Beardsley of caricature work is Al Hirschfield. His penmanship is exquisite, flowing and perfectly brief. He is calligraphic but spare in his linear decisions. His work is predominantly black and white, but when he leans into color, it adds to the illustration but with the linear bones being so strong--color becomes a detail and not a driver of the picture. I have been looking at these and other guys to see how they abstract a face and yet maintain a likeness that the viewer says "hey, that's...". 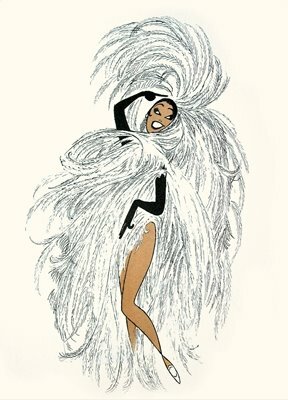 Granted, many of Hirschfield's and Lopato's imagery are of pop stars and celebrities. Brodner takes on political characters in addition to the star studded icons we all know and identify with. All of these illustrators have created a series of character shorthand marks and treatments. This is my first step with Gary Kelley and CF Payne during their week of "work on your own project or work on a fictional character portrait". I want to learn the clues and start distilling and developing that same personal character shorthand to begin to attempt to develop images like these artists. I think I am closer to where Lopato is...but the fluid line works for me too. Maybe a merger of spirit? I have been exhausted and slept all afternoon yesterday. Surprisingly, I am thinking clearer and not feeling as scrambled as I had been previously. I need to stop running myself down as much...and take the time, go to bed early and push for sleep. Sleep seems to make straight all those tangled ends, and permit day dreaming and thought that fatigue seems to surpress. Shady is learning to be a frisbee dog. She is vigilant by the chipmunk hole--waiting, hoping and sniffing for their emergence. Alex is asleep on the porch. Kitty is off making things. Birdfeeders are full and the annuals are blooming.